One hundred and thirty young and upcoming musicians from 11 schools will entertain Vincentians at the National Secondary School Bands Showcase on March 24, 2018. At a media launch on Tuesday, February 20, Rodney Small, co-ordinator of Creative Industries in the Ministry of Tourism, Sports and Culture, explained that the event will prepare the bands for the business world of music, as well as for performances in hotels, national functions, parties and private events. He elaborated that the 130 band members from the various bands show that there is a demand to keep music in school and how critical it is to do so. âMusic is just as important as all classes that you are required to take and it is critical that music class remains in school. Not only to provide a place for students to belong, but also something that helps their minds grow, develop, like no other class. On March 24, at the National Secondary School Bands Showcase, doors will open from 6 p.m. to 9 p.m., and persons are encouraged to provide a donation toward the admission. Furthermore, on Friday, March 9, at the Teachers Credit Union conference room, from 9 a.m., all school bands will participate in an intense music workshop. â…An intense workshop, highlighting the business of music, ethics and self, teamwork, rehearsal techniques and stage craft,â Small explained. Minister of Tourism, Sports and Culture Cecil McKie said the increased interest in the tourism product provides opportunities for musicians. âThe hotel circuit is going to need you. The restaurants are going to need you, business places…communities…and there are opportunities in the church. Not to mention the various festivals spread through out the year. And we now have a full sporting and cultural calendar…,â McKie explained. The SVG Teachers Credit Union (TCCU), the eventâs sponsor, pledged to support the showcase for the next four years. 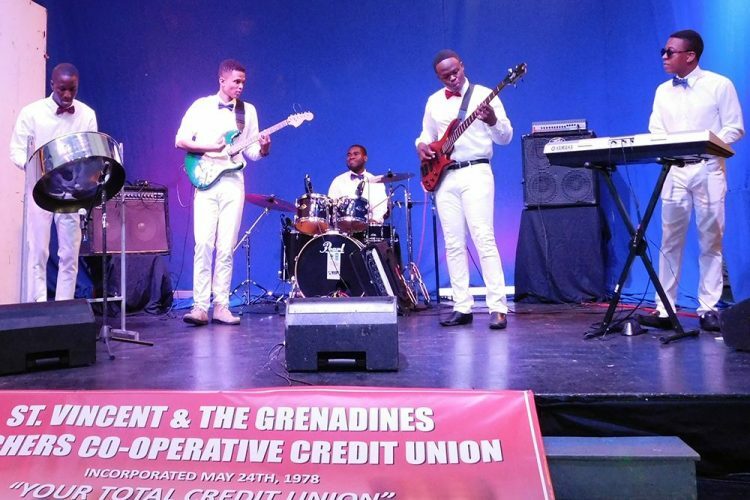 Entertainment by Resonance, a band comprising of former students of the St Vincent Grammar School, was held up as an example of what secondary school bands should aspire to. Dexter Bacchus, Music Education officer for primary and secondary schools, explained that music education has surpassed merely playing the recorder. He believes that the showcase might be the catalyst for future Vincentian musicians and performers and they may become cultural ambassadors. The SVG TCCU School Bands Showcase 2018 will be held under the theme âBringing a modern approach to music educationâ. The schools involved are: West St George Secondary, Bishopâs College Kingstown, North Union Secondary, Intermediate High School, St Martin Secondary, Bethel Secondary, Thomas Saunders Secondary, Sandy Bay Secondary, St Vincent Grammar School, Emmanuel High School Mesopotamia and Youths Everywhere Living for the Lord (YELL).